South Bay Spirits is San Jose’s first and foremost craft distillery. Located in the heart of Silicon Valley, our mission is to create ultra-premium spirits with a strong emphasis on quality of taste and production processes. From vodka to whiskey and everything in between, we handcraft every spirit in small batches with dedication, passion and no compromises. Craft beer has had its Renaissance. Now it’s craft spirits time to shine. For years, consumers have been turning away from mass-produced mega-brands in search of local brands that support local entrepreneurs and local communities. Now, the local revolution is coming to liquor as well. Recent changes in California law have lifted some of the regulatory restrictions previously placed on spirits production, opening the door for the passionate community home distillers to share the artistry of craft spirits production with the broader community. South Bay Spirits is ready to bring the craft spirits revolution to the Silicon Valley area. Read on to learn more about the future of craft distilling and how South Bay Spirits is leading the way. South Bay Spirits is the destination for craft spirits in the Silicon Valley area. Whether you’re a connoisseur of the craft, a casual taster, or a curious newcomer, our goal is to offer a range of the finest spirits that are sure to please every palate. South Bay Spirits is your one-stop destination for all things craft spirits. The South Bay story begins 6 years ago, when founder Eric Roberts discovered his passion for craft distilling. For the next four years, Eric soaked up everything he could about the art of distilling, while holding down a full-time job in I.T.. 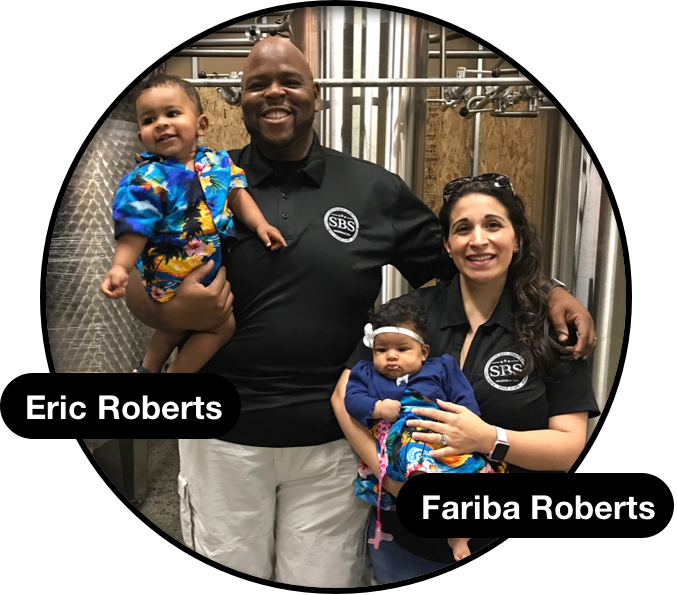 Finally, in 2015, Eric and his wife Fariba decided to take the leap, take a loan on their mortgage, and open the first craft distillery in Silicon Valley. And with that, South Bay Spirits was born. Interested in learning more about the future of South Bay Spirits and how you can be involved? Request access to the Business Plan tab of this funding profile and let’s talk!